There are as many different kinds of kugels as there are Jewish cooks. Kugels have a long culinary history: There’s evidence they’ve been around for centuries. The early ones were made from bread and flour and resembled bread puddings, and they would have been savory, rather than sweet, since sugar wasn’t readily available in Europe until the 1600s. 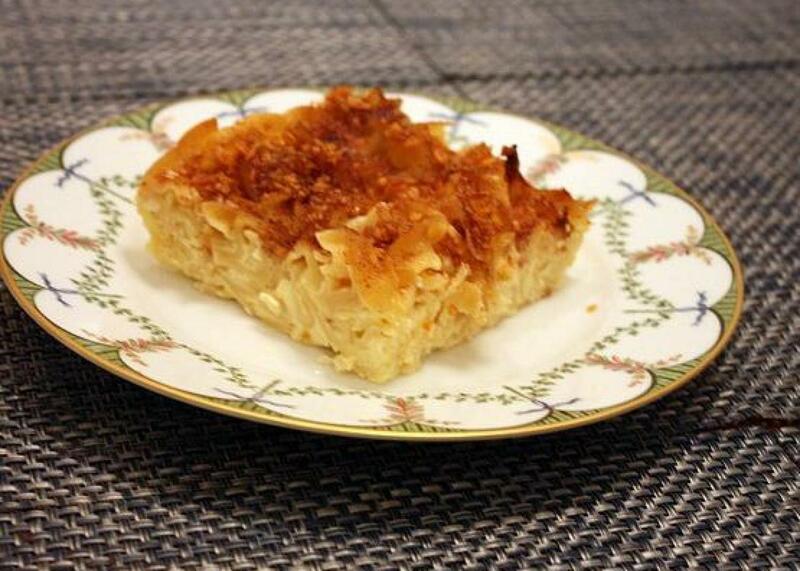 About 800 years ago German cooks replaced the bread mixture with noodles, later adding eggs, cheese and milk, thereby transforming the kugel into a creamy casserole. Kugels have been evolving ever since. For many years kugels were a mainstay of festive meals in Jewish Eastern European homes and even today they’re associated with the Sabbath, and with Rosh Hashana and Yom Kippur. Kugels are an ideal addition to holiday celebrations since they’re so easy to prepare, take only 20 to 25 minutes of prep time, serve 10 to 12 and can be made a day ahead and just reheated. The variety of kugels seems endless. There are noodle kugels, ones that combine noodles with vegetables or fruits, all-vegetable ones (no noodles), and kugels made with matzo meal (instead of noodles and flour) for Passover. 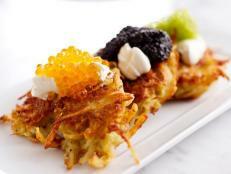 My favorites are the classics: the potato and lokshen kugel below. 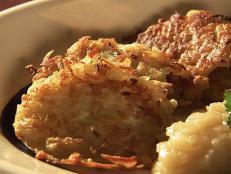 This potato kugel is especially wonderful for Hanukkah. 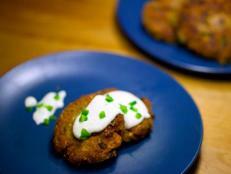 It has all the flavor and deliciousness of potato latkes but takes only half the work. 2. Grease 9 x 13 baking dish. 3. Thoroughly mix eggs, oil, flour, salt and pepper in a large bowl and set aside. 4. 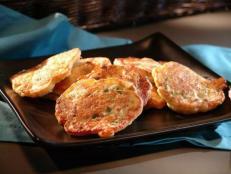 Peel and coarsely grate potatoes and onions in a food processor. Let stand 5 minutes, then divide the mixture into 3 to 4 batches. Wrap each in a kitchen towel and squeeze out the excess liquid. 5. Add the potato-onion mixture to the eggs and mix by hand until incorporated. 6. Pour into greased baking dish and bake uncovered until brown and a toothpick, or knife, inserted in the middle comes out clean, about 1 hour. I’ve cooked and eaten so many noodle kugels but I always come back to the one my friend Lisa Zucker makes. It’s lighter than many, and though the Frosted Flakes are an addition that’s far from traditional, it’s my family’s all-time favorite. Lisa has kindly allowed me to share her recipe. 2. Grease a 9 x 11 baking dish. 3. Cook noodles in salted water according to package directions until tender. 4. Drain and rinse under cold water. 5. Beat eggs and add milk and sugar. 6. Fold this mixture into drained noodles. 7. Add melted butter, salt and cream cheese and mix until well blended. 8. Pour into baking dish. 9. Combine Frosted Flakes with cinnamon and sprinkle evenly on top of noodle mixture. 10. Bake for 45 minutes until brown. Corky Pollan, former Style Director of Gourmet and Best Bets Editor of New York Magazine, has returned to her first love, cooking. In her Devour posts, she’s eager to debunk cooking myths and solve some cooking mysteries.